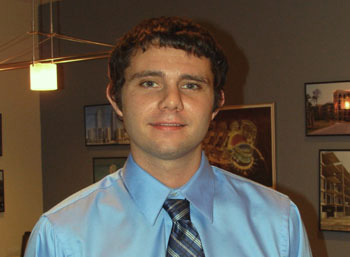 Adam L. Sisk has been designing structures for Woods Engineering since he graduated from NC State University in 2010. He has been involved in all phases of the design and construciton process giving him a broad background and working knowledge of all material types. 55,000 sf. 3-story office building utilizing a steel superstructure w/ composite steel & concrete floors at level 2 & 3 and a steel bar joist and metal deck roof. 62,300 sf. 3-story medical facility utilizing a steel superstructure w/ composite steel & concrete floors at level 2 & 3 and a steel bar joist and metal deck roof. 72,000 sf. 5-story office building utilizing a steel superstructure w/ composite steel & concrete floors at level 2-5 and a steel bar joist and metal deck roof. 400,000 sf. 3-story senior housing facility with mixed construction consisting of wood framing, concrete podiums and hollow-core planks bearing on steel.